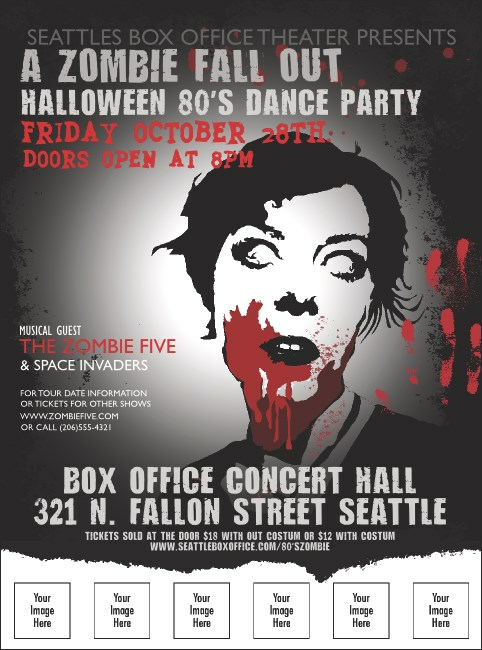 If this Zombie Woman Flyer is not sufficiently gruesome for your intended purposes, you can always gore it up by adding up to six images from your own files. You can upload pictures directly to our ticket template and start gathering freaks to your upcoming event in less time than it takes the infection to set in. Let your guests devour the right Halloween designs from TicketRiver.com.au.